In the Houston Texas area, a driver was very lucky. His car was taken by the flood. 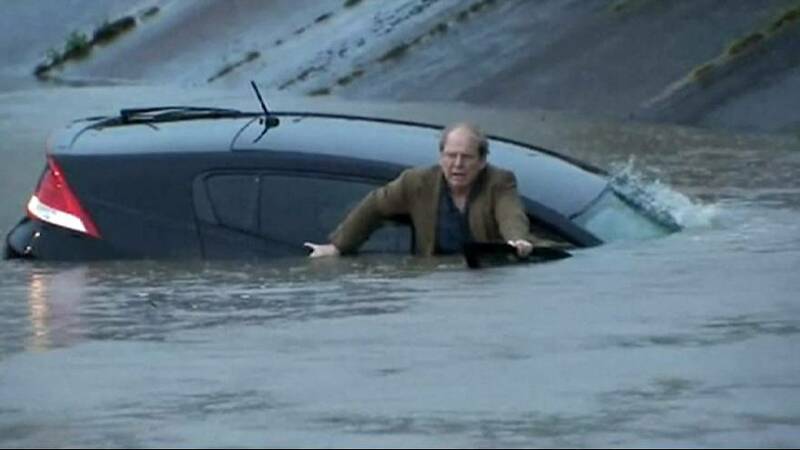 A reporter from a local tv help him swim away from the vehicle, as the car was quickly submerged. In two day, the area received more than 40 centimeters of rain according to US National Weather Service.